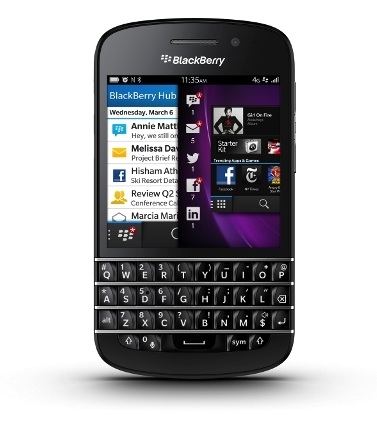 BlackBerry Q10 available for pre-order on Verizon | BlackBerry Blast! It looks like Verizon is first up to bat, offering pre-orders of the upcoming BlackBerry Q10. You can get the latest QWERTY keyboard device from BlackBerry for $199.99 if you sign a 2-year contract. If you want to pickup the Q10 without signing a new contract, be prepared to shell out $600. Ouch! BlackBerry diehard will appreciate the best QWERTY keyboard on any mobile device. The display is small compared to other touchscreen devices these days, but if you need the physical keyboard this one is for you. You can pre-order today and receive your BB Q10 on June 6 if all goes well. An updated version of BlackBerry 10 is also rumored to be released on the same day.